When your site includes Enterprise-level content, it needs to do more than just drive traffic to your website.Instead, it should bridge the gap between your brand and your audience through the use of a powerful platform. Traditional CMS platforms are great for managing content but not all of them offer the functionality you need to build amazing customer experiences and keep up with all of the features necessary to grow your business. 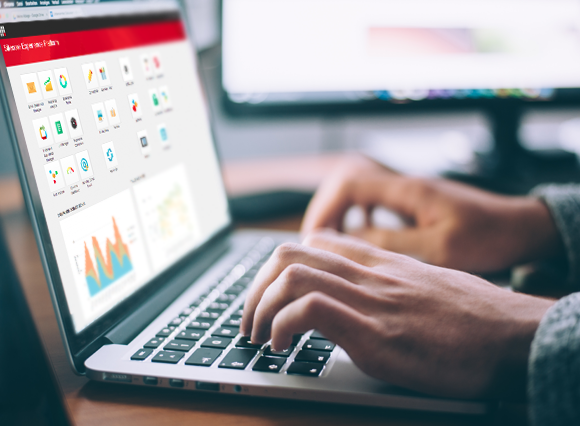 Sitecore and Kentico are two of the most well-rounded platforms that enable you to use your content to connect with and understand your audience. Sitecore is a .NET platform that functions as a content management and digital marketing system. Its framework can handle growth and mass content generation with ease as well as integrate with other platforms to expand its capabilities. In addition, Sitecore allows you to construct multiple websites, establish and monitor customizable campaigns, and even offer language translation tools to help you reach a global audience. From Commerce to Campaign solutions, Sitecore is versatile in providing all of the tools necessary to grow your brand to a much higher level. Furthermore, Sitecore does more than help you manage your content: it helps you to engage your audience with content that is optimized for ecommerce and SEO. Kentico’s .NET platform offers more unique functionality than most vendors. With many powerful solutions in their arsenal, Kentico continues to be Web Content Management (WCM) solution leverages features such as ready-to-use web parts, widgets, multiple language support, mobile previews, and device detection. Kentico’s E-commerce solution gives you the power to sell globally for greater customer loyalty. Integration with third-party ERPs, CRMs, payment gateways, and an efficient checkout process give you the flexibility to help your website grow. Fully integrated with the Content Management System, Kentico’s Online Marketing solution offers Email Marketing, Lead Scoring, and Marketing Automation, and optimize your campaigns to nurture prospects into customers and increase brand advocacy. Kentico is an excellent solution for business looking to have all of their functionality and management under one platform. If you are interested in learning more about Sitecore and Kentico or about how Starkmedia can assist you in integrating the platforms with your brand, contact us today!